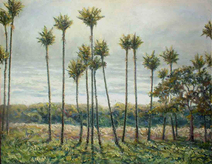 Paintings for sale .. direct from the artist: Click on artworks for more information. Redwoods and bach at Opotere, on the shore of the inlet with NZ native bush surrounds. "You just don't realise" .. right again. After painting his realisation, I now understand and realise. Born around 1000 years ago. Macbeth, 'Son of light' or 'The furious red one' as he was described. This was a commissioned portrait painting for the cover page of a book on the life of the real King Macbeth as opposed to the story told by William Shakespeare in his play. There is extra space left above the subject to allow for title text. 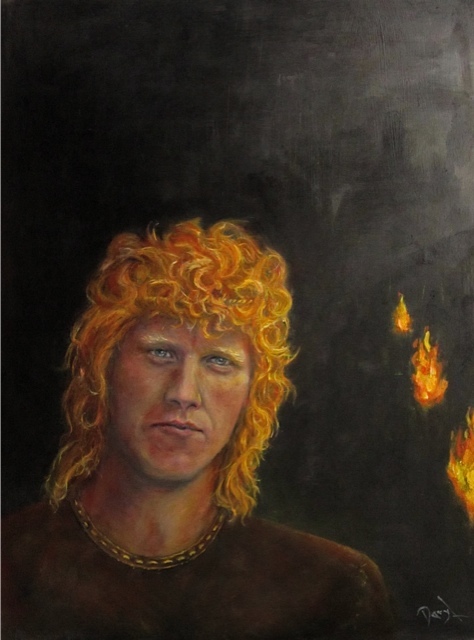 In this painting I have shown Macbeth as the very young king in his early twenties. 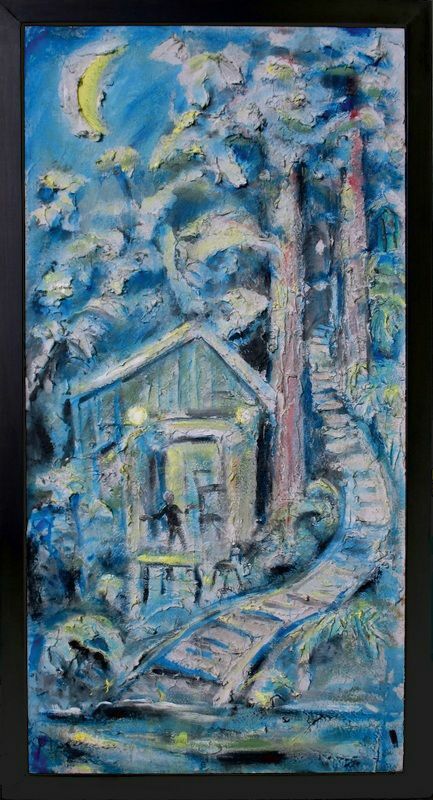 Thick oils on canvas NZ art 283. 45.5 x 61 x 4cm, unframed. Flowers from Michelle's garden, where magic happens. Saturday, June 27, 2009 'Land Of The Coasters' - Glorious depiction of our west coast, curious that it's not the typical fierce, wild and rugged usual portrayal, but it roars at me 'Where The Wild Things Are'. Intentional or not, I love it! Can't imagine anything more wondrously wild to evoke the wildness of our west coast. Alex's adventures and your painting now hand in hand in my mind, forever 'Land Of The Wild Things'...ha! Oils on canvas 91x62.5x2cm, unframed. Northland, New Zealand landscape. A view from the banks of the Northern Wairoa river, greeting it's friend the moon. Tons of paint. Every summer Michelle plants Cosmos seeds in her small Devonport garden. They grow huge .. so I cannot help noticing them .. and painting them. Outback Otago, in the South Island of New Zealand. Old Shearing shed, shearers quarters and sheep yards. After the French Impressionist Renoir. This is a detail study from part of the painting 'Ball at the Moulin de la Gallette'. These two young women depicted in the painting were sisters, Jeanne and Estelle, described as 'two working class' girls that Renoir had model for him. Lots of texture in this interpretation. From the rugged West Coast of the South Island of New Zealand. 58.0x94.0cm . Oils on board. I have been reading on Cezanne lately. In my studio is a table where I like to sit away from the easel, it gives me space to look at a work in progress from a little distance. One morning while sitting there reading about Cezanne's life, I looked up and saw the very first light of dawn coming through the curtains. I liked the effect, so I made a couple of quick sketches and took a photo to help. There is another book I like to study on occasion called 'Elegance and Decadence' , its about Old New Orleans .. the architecture and artists who inhabit the city. 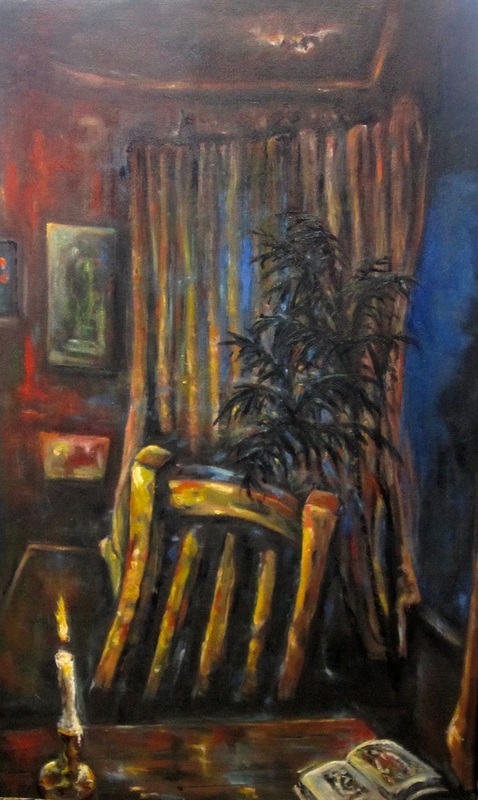 This painting kind of reminds me of some of the interior photos in the book .. not so much the elegance part but most definitely the decadence part.. there are a few stories to be told of sitting around this table with friends while the paint slowly goes about peeling itself off the ceiling. Someone suggested that I paint it sometime .. so I have. hope this is what they meant.